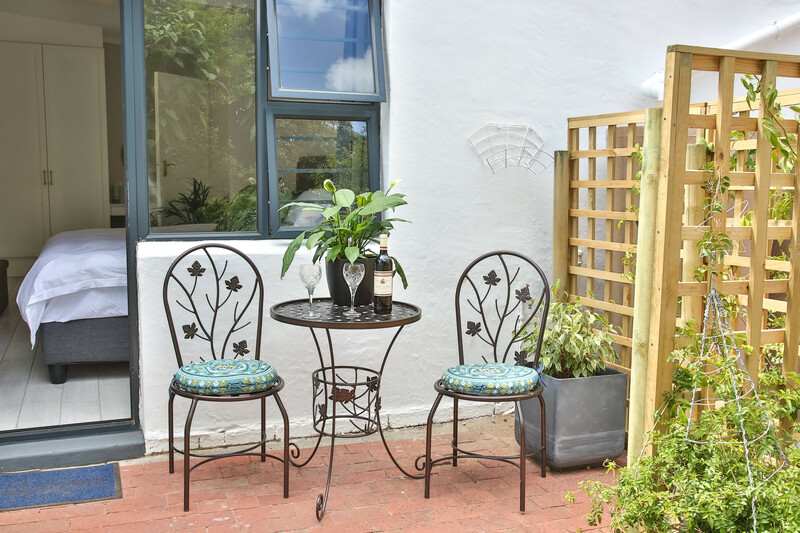 Luxury Self catering cottage in Newlands Village. Quiet, tranquil and secure. 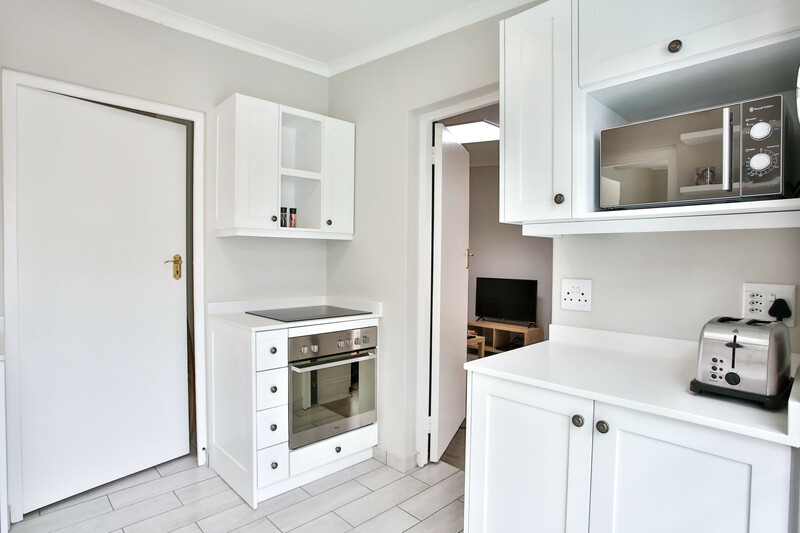 Walking distance to Cavendish Mall & Vineyard Hotel. Walk to great restaurants and Boutique shops. 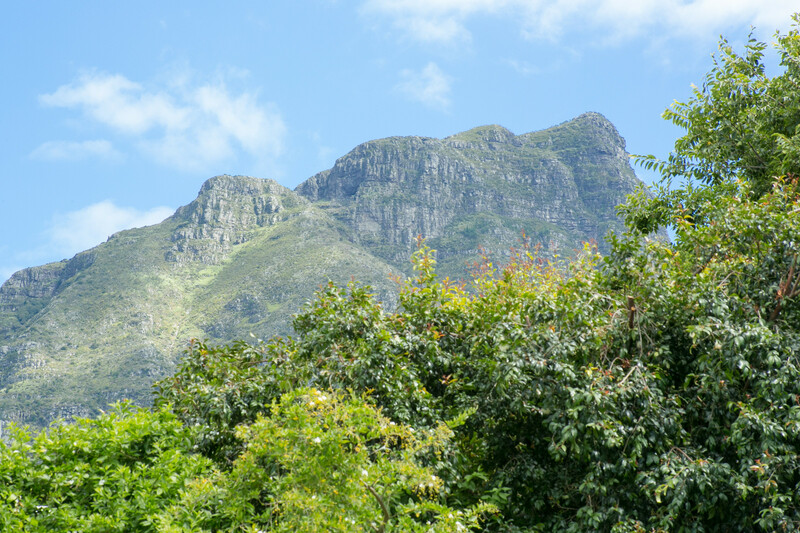 Short drive to Kirstenbosch Gardens and UCT. 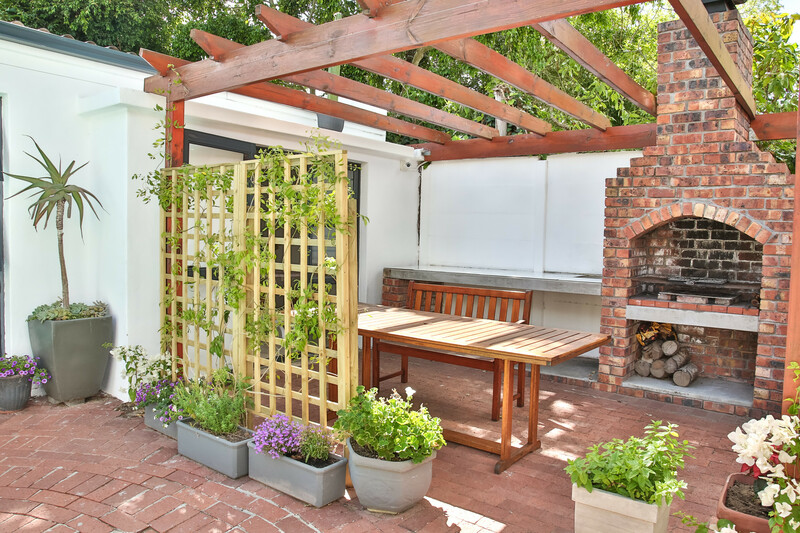 This self catering cottage is in the heart of Newlands Village, Newlands Cape Town. It sleeps two adults and also has a fold out sleeper couch for children. It is not suitable for toddlers as there is an open pool area. 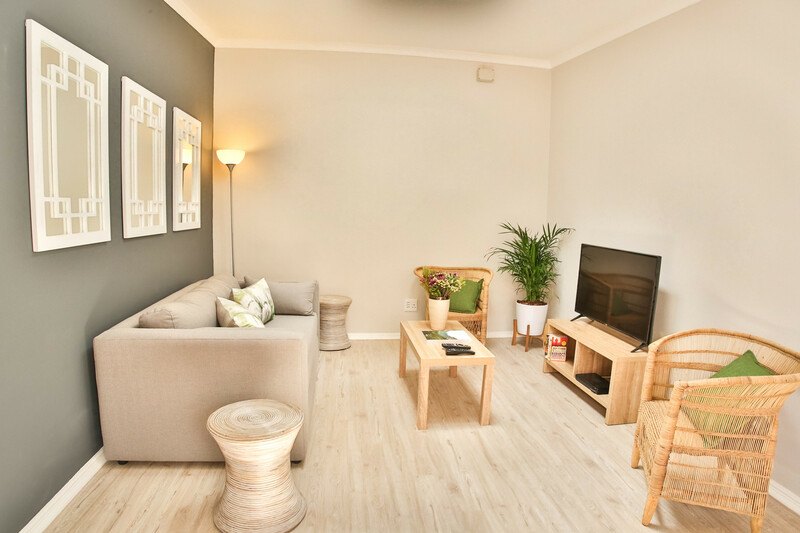 Walk to fabulous restaurants, including the Vineyard Hotel, Wijnhuis, Barristers and Sushi Box. 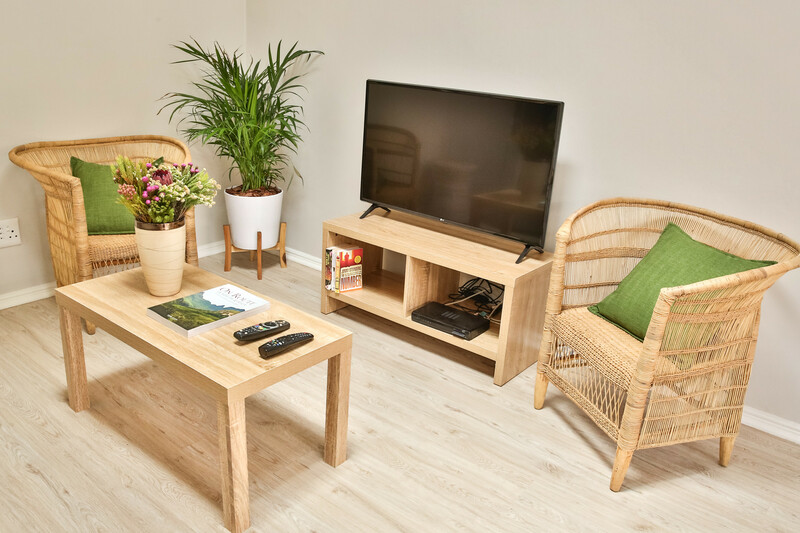 There is a bedroom with a King Size bed, a full bathroom, fully equppied kitchen and lounge/dining room with DSTV. Wifi is available. 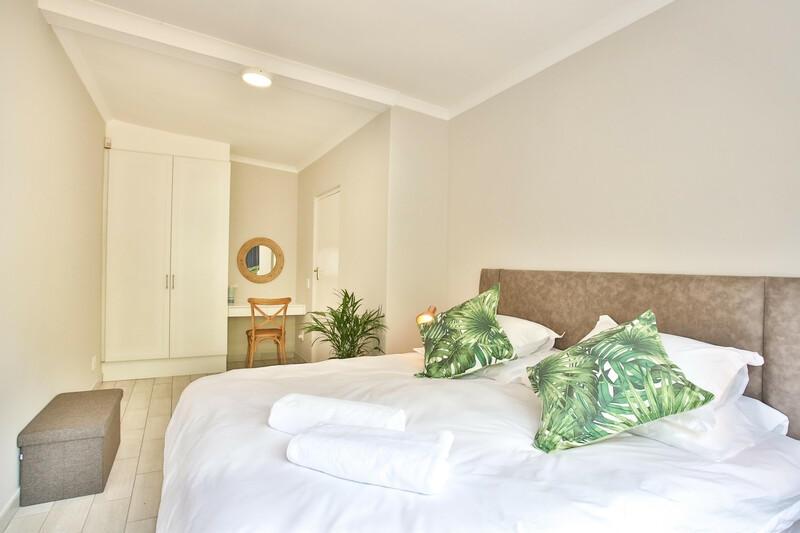 There is a complimentary Continental breakfast supplied each day. . 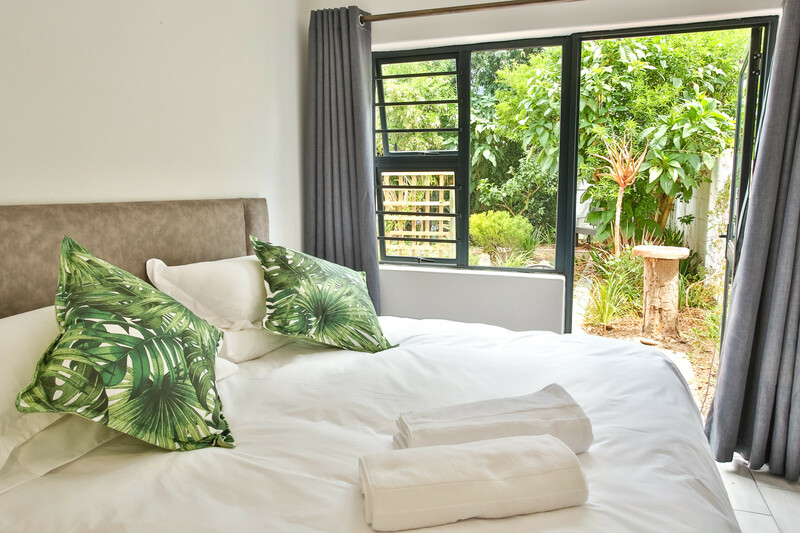 The bedroom and lounge open up to a private patio where you can take in the beautiful view of Table Mountain.